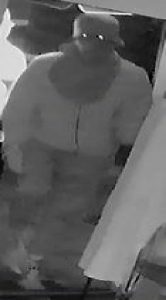 On October 11, 2017, a burglary occurred at Smokin Toad, located on N. Conococheague Street in Williamsport, MD. Two suspects were seen on the video surveillance system. 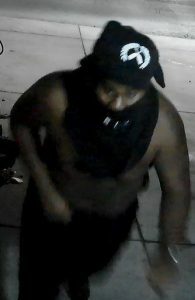 The first suspect is a black male, wearing a black shirt over his head and black pants. He has tattoos on both arms. The second suspect is a male of unknown race, wearing a red and black jacket and black pants. He had a piece of fabric wrapped around his head and was wearing gloves. 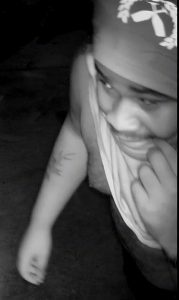 Anyone who can identify either suspect is asked to contact DFC Crawford at 240-313-2878 ext. 6187.